Every business works hard to accomplish one main objective: Get more sales! What differentiates the successful business from the not-so successful ones is the approach that they take towards achieving the goal. Successful companies are relying on ERP/CRM technology more than ever to streamline operations and increase revenue. Most importantly, they are able to boost customer engagement level and communicate more effectively with their buyers across channels. The more they come to know about them, the deeper the relationships grow. The key to maintaining the long-term engagement level requires you to provide the customers personal attention. Here, you will need an automated system which could assist you during the entire process. Microsoft Dynamics 365 for Sales comes with such capabilities which helps you in optimizing your relationship selling performance. Microsoft Dynamics 365 for Sales provides powerful tools and relationship management capabilities in the hands of business professionals to help them gain insights about how clients feel about their business and brands. 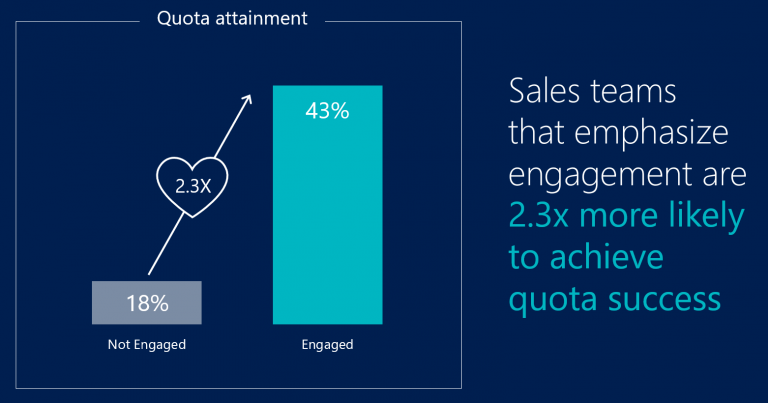 By using in-built digital intelligence in the sales process, MS Dynamics 365 for Sales helps you with a task of identifying the true customer needs. You can easily engage buyers with social media, monitor their views, comments on your products and services. You can further analyze these data and presentable charts and graphs, which can help you in figuring out the trends. This, in turn, empowers the sales teams to proactively connect with fans, customers and critics alike. Furthermore, you can create personalized sales documents with familiar Office 365 tools that enable simultaneous collaboration and editing. You can also improve your customer management with receiving updated social insights, company information and more. We would be happy to guide you and show how Microsoft Dynamics 365 gives you competitive advantage!